With everyday stresses putting pressure on all of our lives, it sometimes becomes hard to feel motivated and with the weight of the world on your shoulders, you may become unhappy with your life. 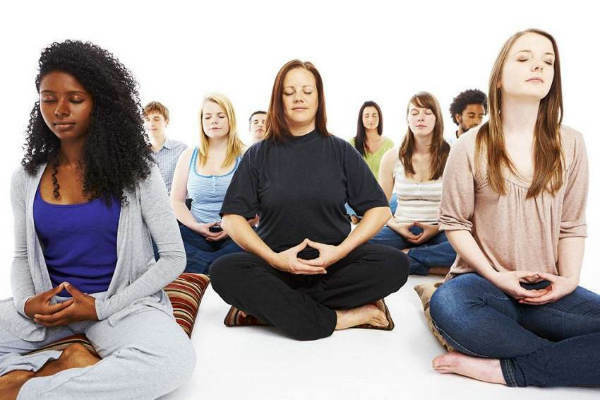 Meditation and Mindfulness are two approaches that are generally associated with relaxation and appreciating the world around you, however they can also be used as a part of everyday life to improve our mindset and the way we live. Mindfulness is the act of becoming aware of everything around you, how you’re feeling and the stream of consciousness that flows through your mind. Noticing and appreciating the thoughts that enter and leave our minds is a good way to remind ourselves that every thought does indeed come and go, much like everything else in life, namely our problems. One of the ways people experience mindfulness is through meditation and this can give you the tools to be centred, calm and happy in any situation.
. 5 minutes every morning can increase your chances of a better day. Just 5 minutes of meditation helps you to start your day in a relaxed state, with a clear mind, and it allows you can determine your focus for the day ahead. Waking up slightly earlier and working meditation into your routine, even for five minutes a day, can have enormous benefits on your health. Use this time to prepare for the day ahead and to visualise how you’d like the day to go – you are in control of your day.
. It can help you discover the answers to difficult problems in life. Sometimes we need to discuss problems in order to come to a conclusion, but often this isn’t possible as other people may not always be available. Spending time each day to consider each problem and their potential solutions, in turn, may give you the answer you’ve been looking for. Focusing on one problem at a time and entering into the calm meditative state may be what you need to discover the answers you need in order to move forward.
. Meditation reduces anxiety & allows you to focus on the positive. Being able to focus on positive thoughts and letting the negative ones flowing out of your mind will make you feel happier, fact. Putting positive energy out into the world and consciously thinking positive thoughts will impact the way you subconsciously think too. Feeling positive and being accepting of negative thoughts naturally reduces anxiety and allows you to develop a calm mindset.
. It allows you to let go of pain. Everyone is holding onto baggage that they push to the back of their mind and refuse to acknowledge. Being mindful of this painful memory can help you come to terms with it, accepting it as part of life and eventually no longer allowing it to affect you in the same way. Letting go of these painful moments makes you feel less bitter which will, in turn, improve the way you see the world. Being mindful and practicing meditation takes time, but the advantages outweigh the time it takes to learn the skill. Once you begin to understand your mind and accept your feelings, there’s no limit to the possibilities ahead of you.